Samsung SDI Co. said Wednesday it plans to take over its battery-making joint venture with Germany's Robert Bosch GmbH as it seeks to boost its competitiveness in the production of lithium-ion batteries for automobiles. South Korea's Samsung SDI said in a regulatory filing it would pay Bosch $95 million for the 50% stake in the venture, SB LiMotive, that it doesn't already own. But the net payment will be $57 million as Bosch plans to acquire SB LiMotive's U.S. and German subsidiaries for $38 million, the South Korean company said. In future collaboration with its former joint venture partner, steps have been taken to ensure that all development and supply agreements will be continued. In addition, the parties have agreed to grant each other access to patents. The entire battery systems business will be transferred to Bosch, including all components, such as the crucial battery management system. 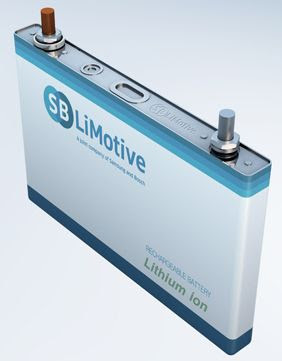 Bosch will take over the subsidiary SB LiMotive Germany GmbH. Based in Stuttgart, it focuses on systems engineering, battery management systems, prototyping, marketing, and sales. At the same time, Cobasys will be integrated into Bosch. This subsidiary, which is important for the U.S. market, has locations in Orion (MI) and Springboro (OH).